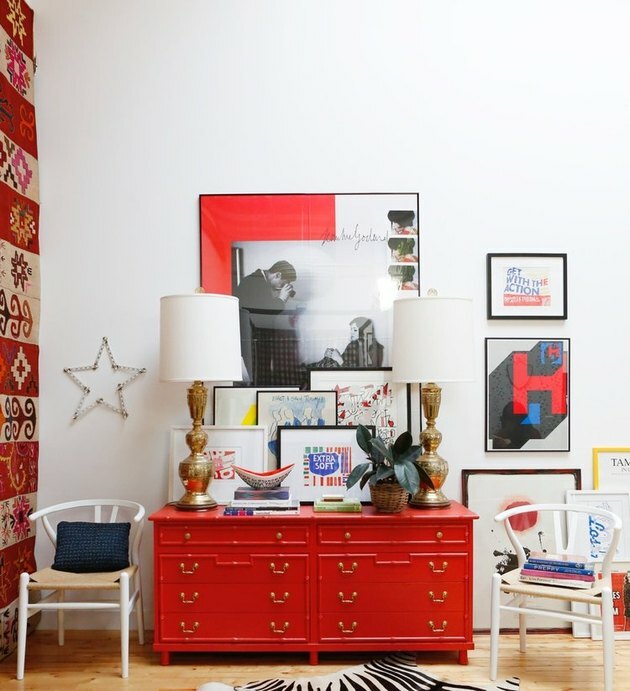 There's a difference between maximalism and, well, hoarding. 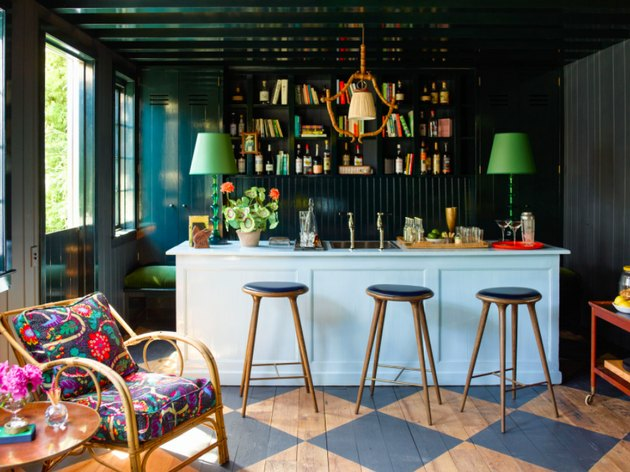 At its essence, maximalism is about making the most of your home's space by showing off your personality ... on as many surfaces as you can find. It's a "more is more" approach to decorating (that's totally trendy, by the way). 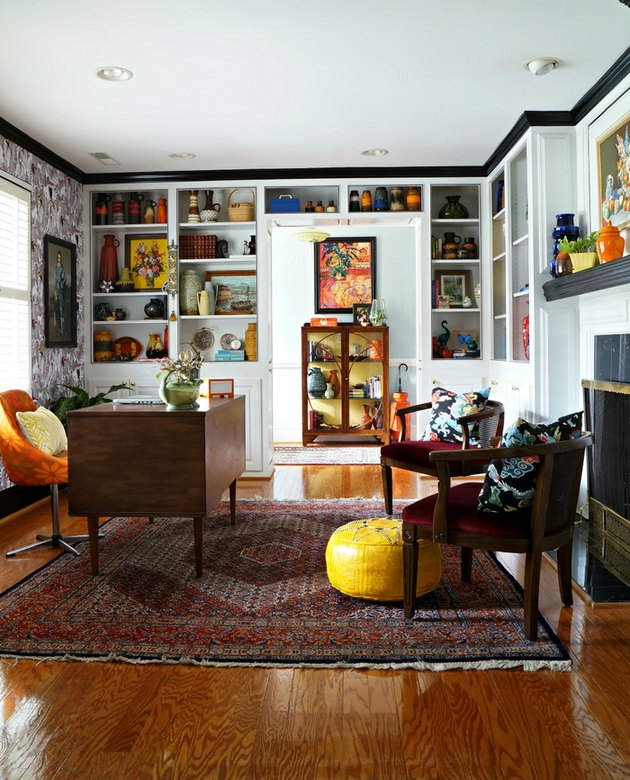 If you want do maximalism right and avoid turning your space into cluttered chaos in the process, here are 9 things you should know. 1. Commit to a theme and color palette. 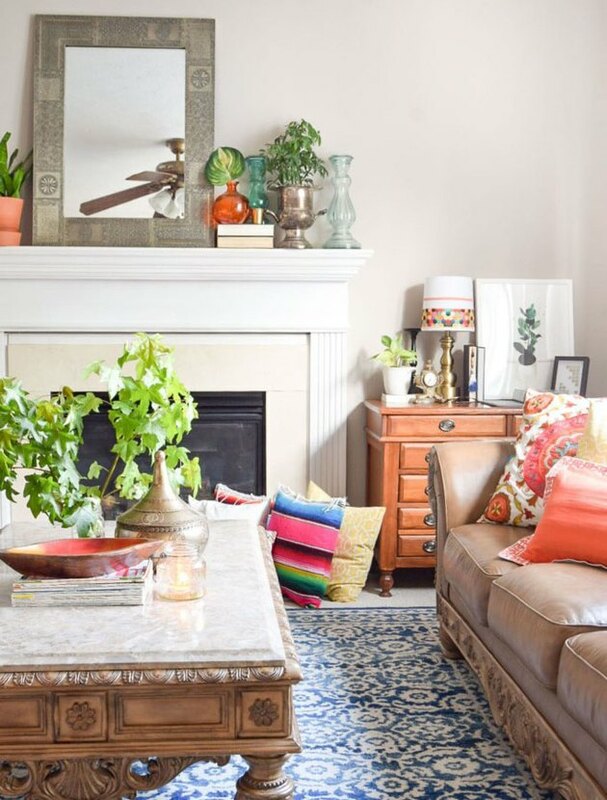 Whether you're going for a bohemian feel or a spicy southwestern vibe, it's important to set a clear tone for your space by committing to a specific style and color palette. Keeping the theme and color scheme consistent helps maximalism avoid feeling too cluttered. 2. Layer textures and patterns. With maximalism, more really is more. So the "more" patterns and textures you can cram into a room the better. It all adds up to building the multiple layers of visual interest that maximalist style is known for. 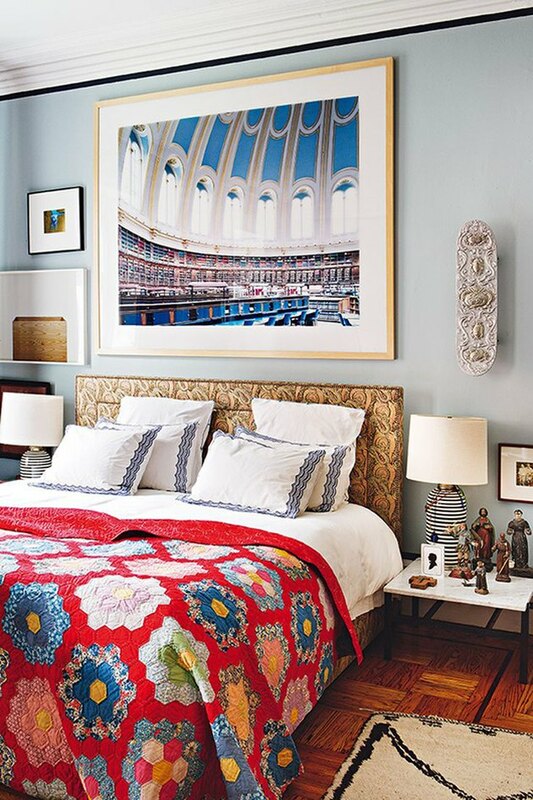 To keep things from blending together, pair a large pattern next to a small one, like this headboard and quilt combo. Or, try a sleek chrome floor lamp next to a velvet ottoman. 3. Draw the eye up. 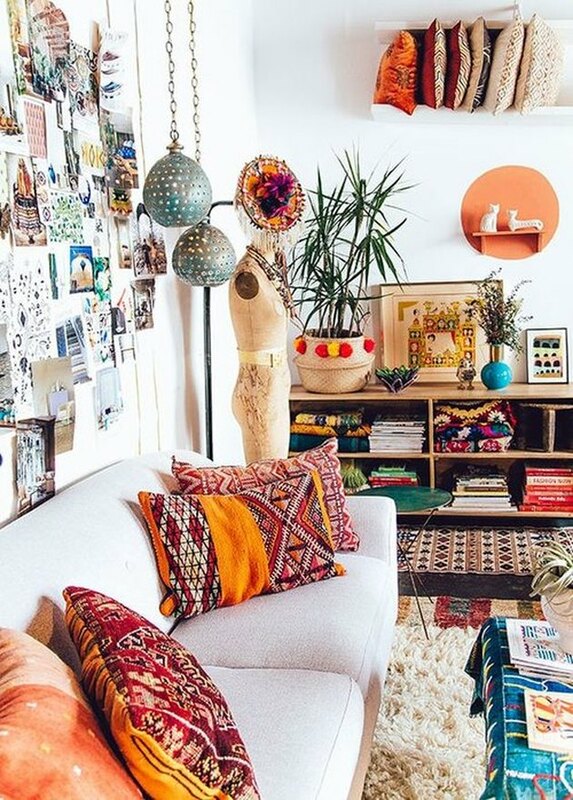 To achieve livable maximalist style, you can't have stuff cluttered in the middle of your room. One way to find the space for extra accessories is to think vertically. 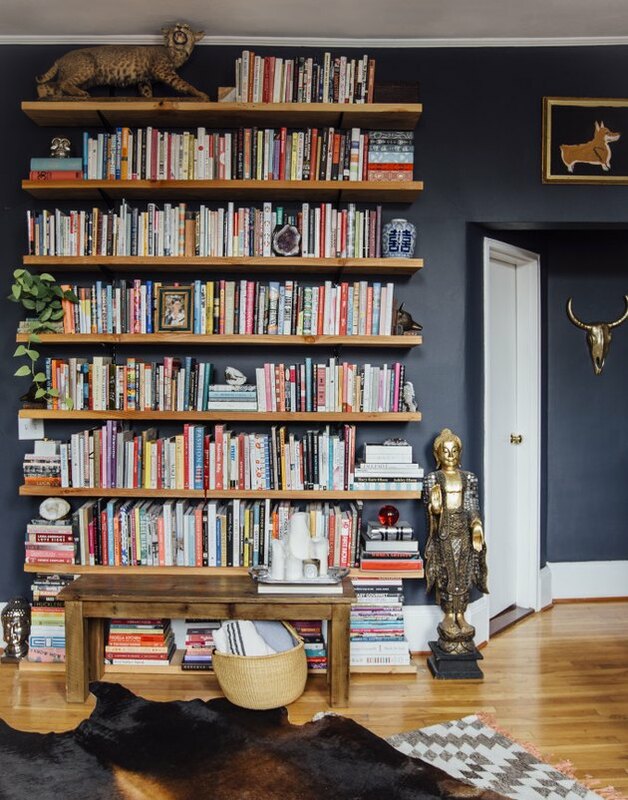 These built-in bookcases covered with treasures help draw the eye upward, while the floor and work surfaces remain clear. 4. Paint your walls a bold color to help decor accents pop. It's essential to create a bold, clean canvas for all of your accessories to stand out. Whether you choose a crisp white or a daringly dark hue, your wall color should be a blank slate so your maximalist styling can take center stage. 5. Create a focal point where your eye can rest. With so many decorative elements that compete for your attention, it's important not to let a maximalist room feel chaotic. One way to do this is to add an obvious focal point to your space, like a bold painting. It will immediately draw your eye in and give it a place to rest, allowing you to slowly soak in all of the other elements in the room at a more leisurely pace. 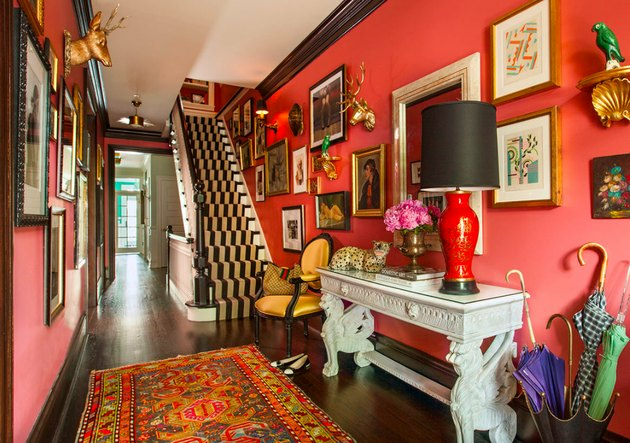 An easy, low-commitment way to give maximalism a try is to turn a hallway into an art gallery. Line both sides to achieve a true maximalist effect. 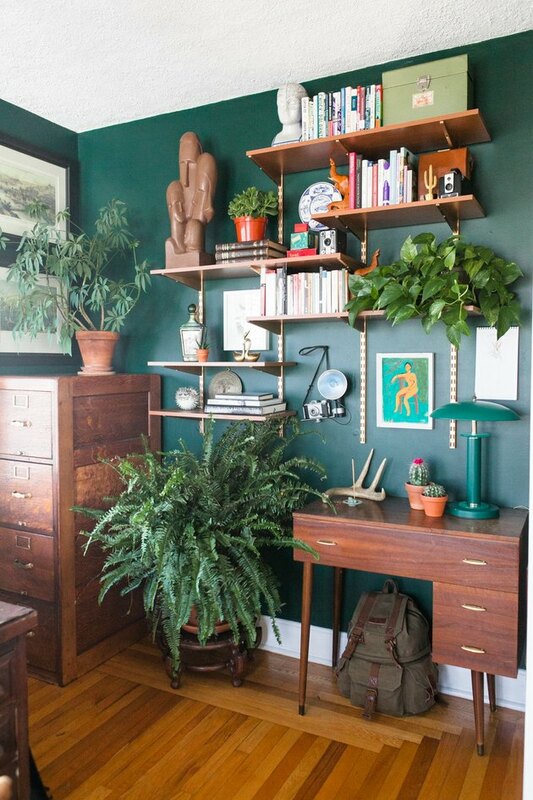 To break your space up visually, spread a few green plants around your space. They wake-up maximalist decor and keep your room from feeling like an over-stuffed personal museum. 8. Decorate every flat surface. Make the most of your room's flat surfaces by covering them all with accents and baubles that show off your style. Give your favorite things the most prominent spots, and fill in the other spaces with additional trinkets, books, or art. Try grouping items of different styles, textures, and heights together to create extra visual interest.